Tickets recently went on sale for Tech Cocktail’s biggest event of the year. 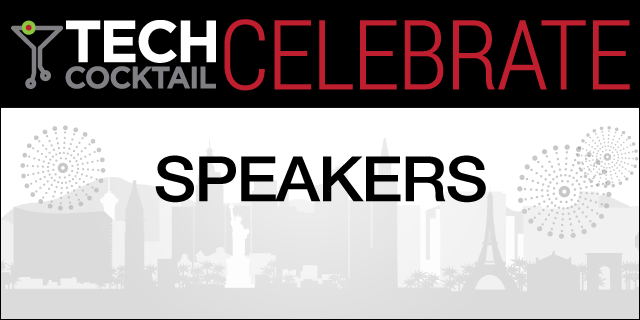 Tech Cocktail Celebrate is coming up October 6-7, 2014. The team announced the first batch of speakers in this piece. Celebrate will gather hundreds of attendees, industry leaders, and inspiring speakers in downtown Vegas. This two-day conference will be packed with opportunities to learn and collaborate with others turning their communities into startup cities, and building ideas into successful companies. Join lively breakout sessions with our speakers, get up-close and personal with small mentor circles and enjoy the most unique startup competition in the country. In 1999, at the age of 24, Tony Hsieh (pronounced Shay) sold LinkExchange, the company he cofounded, to Microsoft for $265 million. He then joined Zappos.com as an advisor and investor, and eventually became CEO, where he helped Zappos.com grow from almost no sales to over $1 billion in gross merchandise sales annually, while simultaneously making Fortune magazine’s annual “Best Companies to Work For” list. In November 2009, Zappos.com was acquired by Amazon.com in a deal valued at $1.2 billion on the day of closing. Tony’s first book, Delivering Happiness, was published on June 7, 2010. He’s now the head of the Downtown Project, a $350 revitalization project in downtown Las Vegas. David Cohen is the founder, Managing Partner, and CEO of TechStars, the #1 ranked Internet startup accelerator in the world. Previously, David was a founder of several software and web technology companies. He was the founder and CTO of Pinpoint Technologies which was acquired by ZOLL Medical Corporation (NASDAQ: ZOLL) in 1999. You can read about it in No Vision, All Drive. David was also the founder and CEO of earFeeder.com, a music service which was sold to SonicSwap.com in 2006. He also had what he likes to think of as a “graceful failure” in between. David is a active startup advocate, advisor, board member, and technology advisor who comments on these topics on his blog at DavidGCohen.com. He is also very active at the University of Colorado, serving as a member of the Board of Advisors of the Computer Science Department, the Entrepreneurial Advisory Board at Silicon Flatirons. David also runs the Colorado chapter of the Open Angel Forum. Ben Parr is an award-winning journalist, author, entrepreneur, investor and expert on attention. Through his unique experience as a leading technology writer, venture capitalist and prolific public speaker, Parr has coached dozens of young startups and Fortune 500 corporations on how to get attention for their products. He was named one of the top ten tech journalists in the world by Say Media and named to the 2012 Forbes 30 Under 30. Parr is Co-Founder and Managing Partner of DominateFund, a venture capital firm that invests in and accelerates the growth of early-stage technology, software and product startups through its expertise in press, marketing, customer and user acquisition, viral products and strategic celebrity partnerships. Parr is the author of Captivology: The Science of Capturing People’s Attention, due in 2014 from HarperOne/HarperCollins. Previously, Parr was the Co-Editor and Editor-at-Large of Mashable, where he wrote more than 2,400 articles on social media and technology, managed Mashable’s editorial team, and interviewed everyone from Ashton Kutcher to Mark Zuckerberg. Charles Hudson is a Partner with SoftTech VC, one of the most active seed stage investors in Internet and mobile startups. He focuses on identifying investment opportunities in mobile infrastructure, mobile applications, and marketplaces. He is on the Board of Tulip and Kahuna and works closely with a number of SoftTech investments, including SmartShoot, Vungle, Kato, TakeLessons, TopHat, 8tracks, and Soldsie. Delivering Happiness has evolved from a book to a bus tour, and now a company and global happiness movement represented by people from 110 countries. Today, she’s dedicated to growing the Delivering Happiness movement so we can all pay happiness forward – knowing if we create happier companies/communities/cities, we can make this a happier world. Brady Forrest is Chair for O’Reilly’s Where 2.0 and co-Chairs Web 2.0 Expo in San Francisco and NYC. Brady writes for O’Reilly Radar tracking changes in technology. He started Ignite, a geek event which has spread to over a hundred cities worldwide (including Seattle). Brady lives in Seattle, where he builds robots and cars for Burning Man and competes for Mayorof finer establishments. You can track his web travels at Truffle Honey or @brady. Recently, he has started blogging about Burning Man & desert fashion. Gabriella Draney is Cofounder and CEO of Tech Wildcatters, a Forbes Top 10 seed accelerator for b2b startups. With more than 13 years in the entrepreneurial world, she has experience in strategy, fund-raising and corporate innovation. She is passionate about helping startups connect the dots and has built a significant network to help her do just this. With a diverse group of mentors, investors and entrepreneurs who are on speed dial, Gabriella is willing to go the extra mile to help up and coming businesses become viable and scalable. Prior to starting Tech Wildcatters, Gabriella was with HP Growth Partners, an early stage venture fund in Dallas, where she served on the Board of CelAccess. Before attending business school at SMU, Gabriella was a serial entrepreneur with experience in software, aviation, finance, and nutrition. It is this real world experience and appreciation for having skin in the game that makes her so valuable to the innovation ecosystem. Greg Tehven has spent much of his life believing he can “Create the Community You Want To Live In.” He is the Co-Founder of Emerging Prairie, Dinnerties.com, 1 Million Cups Fargo, and Students Today Leaders Forever. He teaches as an Adjunct Professor at Concordia College. Greg’s current activities include co-organizing Startup Weekend Fargo and curating TEDxFargo. He loves Settlers of Catan, coffee, hosting dinner parties and ND Class “B” state champs. You can track him down at [email protected] or on twitter @gregfromfargo. Lisa Besserman, founder of Startup Buenos Aires, has been named as Business Insider’s “Top 100 Most Influential Women in Tech” as well as the 2014 “Business Innovator of Latin America” by the Council of the Americas. Lisa has worked with charities in Nepal, Haiti, Uganda, Japan and New York. She is an active leader in the NYC and Latin America communities. Lisa has mentored at Startup Weekends, The Next Web conference, and is a recurring speaker at Internet Week NY. Lisa moved to Buenos Aires from New York City to create Startup Buenos Aires, the organization that represents the startup, tech, and entrepreneurial community of Buenos Aires, Argentina. Startup Buenos Aires aims to inspire, connect and support startups and entrepreneurship in Latin America and around the globe. Maya Baratz is a writer, editor and product/media executive, with expertise in creating new-to-market consumer digital products (including social, mobile, web et al), as well as in content development, business development and venture capital. She is head of new products for ABC News by way of the Wall Street Journal, MTV, and Flickr. Sara Hill is the Director of Entrepreneurship at Work In Progress, creating and managing startup programs that help to support and grow the overall startup ecosystem in downtown Las Vegas. She also runs The Mill, which is an idea accelerator investing $5,000 in a new entrepreneur every week. Along with the $5,000, the entrepreneurs get a 2 month membership to Work In Progress and mentoring. Before coming to Vegas, Sara spent 2+ years in LA opening and managing two coworking spaces with NextSpace Coworking (including the Venice space which is partnered with the accelerator, Amplify.LA). Before that Sara worked in the Santa Cruz, Ca location (her hometown), while finishing up her Communications and Business degree at SFSU. Sara believes the meaning of life is found in our relationships with others and she loves connecting people. As cofounder of Startup Institute, Shaun Johnson is responsible for strategy and operations at Startup Institute. His mixed background in athletics, acting, and consulting sets a unique culture, which results in a competitive and collaborative environment where intelligence and improv conquers all challenges. Trey Bowles is a serial entrepreneur, social capitalist, and educator. Trey cofounded the Dallas Entrepreneur Center (DEC), a central location for entrepreneurs to learn how to start, build and grow businesses through training, education, mentorship, promotion, and capital investment. As Co-Founder and CEO, Trey leads strategy, vision, and drives the overall planning and development efforts for the DEC. Trey oversees the day-to-day operations of the DEC, including management of all areas of the business. Trey also works closely with the DEC staff to engage executives, mentors and other valuable experts within the Dallas community and across the country to maintain a strong and robust resource offering for DEC startups/members). Andy is an entrepreneur, angel investor and car nut. As a founder of SchoolCenter, an edtech content management platform, he was able to complete the cycle from struggling startup through exit. The company sold in 2011 and is now part of Blackboard, Inc. During the transition he was able to get a crash course on current startup techniques as an investor and the executive director for the seed program BoomStartup, a TechStars Network affiliate program ranked as one of the top 15 accelerators in the country. His current position as a partner with the VegasTechFund allows him to help empower amazing founders and startups passionate about building community in downtown Las Vegas. Dylan is working to make downtown Las Vegas the most likely place in the world to experience serendipity through the tracking, understanding and improvement of collisions. Dylan is working on the City Science initiative of Tony Hsieh’s 350 million dollar city revitalization project figuring out what exactly it means to prioritize ROC (Return on Collisions) over a traditional ROI. Howard A. Tullman is the CEO of 1871 – where digital startups get their start and the General Managing Partner of G2T3V, LLC and of Chicago High Tech Investment Partners. He is a member of Mayor Emanuel’s Chicago NEXT and Cultural Affairs Councils and of Governor Quinn’s Illinois Innovation and Arts Councils; a member of President Preckwinkle’s New Media Council; an adjunct professor at Kellogg; and an advisor to many start-ups. He is the former Chairman and CEO of Tribeca Flashpoint Media Arts Academy. Over the last 45 years, he has successfully founded more than a dozen high-tech companies.